It is a well-worn adage that the United States protects its citizens extremely well, arguably better than any other nation, and its oversight of the financial markets industry within its jurisdiction is certainly no exception. Since 2010, the entire regulatory structure of the financial sector has been subject to a complete reorganization, spearheaded by President Barack Obama having signed the Dodd-Frank Wall Street Reform Act in April 2010, as a means of pressing the clear button on the financial sector’s activities in the wake of the financial crisis. Apart from the stringently supervised overhaul of the entire electronic trading environment in North America, which is a central tenet of the Dodd-Frank Act that has been discussed in many Senate level meetings with law makers and senior regulatory officials, the punishments for transgressions have become increasingly bleak. Part of this has been as a result of the United States’ dedication toward leading the world in regulatory organization, and the other is subsequent to two major firm failures, namely PFG and MF Global, as a result of which many investors lost substantial sums of money, and of course not least, the crackdown on Ponzi schemes. Those with a good memory for legal matters of this nature, may remember the Botfly Ponzi scheme, which was brought to light back in 2011, in the form of a federal criminal complaint filed in US District Court in the Middle District of Florida. 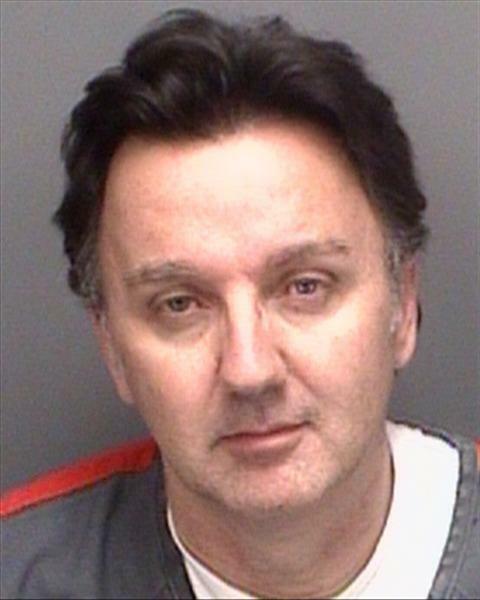 He Faces 20 Years In Jail For Ponzi Scheme. Floridian fraudster David R. Lewalski, and his co-conspirators allegedly embezzled $30 million from hundreds of investors, based on false statements that Mr. Lewalski could earn the investors up to 10 percent interest per month as a result of his FX trading prowess. In keeping with its wish to ensure that when sentencing such individuals, enough of a deterrent to others with criminal intentions is displayed by way of stiff penalties. As Mr. Lewalski faces a 20 year stretch in a penitentiary institution, following a court ruling in Tampa, Florida, his appeal was received yesterday by the United States Court of Appeals. Currently unpublished on the US court opinions website, the appeal was heard before Judges Hull, Martin and Jordan yesterday. Mr. Lewalski made an appeal against his 240-month sentence, the statutory maximum for his offense, which was imposed above the applicable guideline range, after he pleaded guilty to mail fraud in violation of 18 USC § 1341. Mr. Lewalski was convicted for perpetrating this particular large scale Ponzi scheme that ensnared over 500 victims who lost nearly $19 million. His guideline calculation resulted in a range of 188- 235 months. He argues on appeal, that the district court erred in several ways when it sentenced him to 5 months above the applicable range. The plea agreement clearly stated that the district court would not be bound by the government’s recommendation, and during the plea colloquy, Mr. Lewalski made clear that he understood that the government’s recommendations are not binding. The district court did not err, plainly or otherwise, when it chose to sentence Lewalski above the guidelines range because, it was not bound by the government’s recommendation of a sentence within the applicable sentencing guideline range. An interesting view of the Floridian court is that despite the appeal, Mr. Lewalski’s sentence is substantively reasonable in light of the totality of the circumstances. The record before the District Court reflects that while perpetrating the Ponzi scheme, Mr. Lewalski lived extravagantly on his over 500 victims’ money and used sophisticated, deceitful tactics to encourage investors to give him more funds. The extravagance, according to a Forbes report in November 2011, included spending millions of dollars on high profile lifestyle trappings such as leasing luxurious New York City real estate, private jets and purchasing luxury automobiles including Porsches and a Ferrari, clothing and jewelry including a gold and diamond Rolex watch. Furthermore, in November last year, the US Bankruptcy Court in Tampa, Florida obtained an insolvency ruling against Botfly LLC and Mr. Lewalski, ensuring that any discharge attempt would be denied. This is certainly a ruling which is not easy to overturn and the government is likely to try very hard to ensure that the sentence sticks. Other jurisdictions in which Ponzi schemes are perpetrated have traditionally been far more lenient. A point of interest will be the sentencing by New Zealand’s Wellington District Court of David Ross, who ran New Zealand’s largest ever Ponzi scheme, for which he was arrested two weeks ago in which he falsely reported client investments by overstating investment positions by an eye-watering $380 million. His nonchalant appearance at Wellington District Court led speculators to assume that he will serve his sentence which is due to be handed down on October 24, emerge and live a secure and luxurious life once released. Similarly, although not involving the same stratospheric sums of money, compatriot firm Phoenix Forex has been under regulatory scrutiny for running a form of Ponzi scheme, in which clients are duped by high pressure sales tactics into parting with unreasonable sums for trading software. Currently, despite having a previous record for running a disreputable firm selling gambling software whilst bankrupt and bilking purchasers out of high and unrealistic licensing fees, the orchestrators of this particular scheme are free and residing in a $4 million rented country retreat in New Zealand. A further aspect of Mr. Lewalski’s behavior to which the court took a dim view, was that rather than showing remorse, Mr. Lewalski wrote a letter to his girlfriend bragging that he was going to get away with his actions with only a short sentence. Given the district court’s thorough justification and the small variance, only 5 months outside the guideline range of 188 to 235 months imprisonment, the court’s decision to impose the statutory maximum of 20 years imprisonment was substantively reasonable. On this basis, Mr. Lewalski has, according to the jury, no basis to show error in his above-guidelines sentence. Indeed, in a market where liquid assets are the essence of the business, and electronic methods can be easily used to perpetrate crimes, there are always likely to be those with a mind to plunder the funds of their clients for the purposes of illegal personal gain. The difference is in how regulators will handle such matters in the future, and protect their citizens. If such acts are driven by the will of such transgressors to generate wealth without much effort, and serve a short sentence, and then enjoy their ill-gotten gains subsequently, the United States has the right approach in deterring such activities by ensuring that the conditions in which they reside for a couple of decades, are, at least in Mr. Lewalski’s case, less than salubrious.